Military History Books, GERMAN PARATROOPERS UNIFORMS AND EQUIPMENT 1936-1945: VOLUME II HELMETS, EQUIPMENT AND WEAPONS,Kasrl Veltze,Zeughaus Verlag, Berlin,ISBN 9783938447871, THE RAF PATHFINDERS,Martyn Chorlton,Countryside Books,ISBN 9781846742019,Bomber Command, OSPREY RAID 45: KILLING BIN LADEN - OPERATION NEPTUNE SPEAR,Peter Panzeri,Johnny Shumate,Osprey,ISBN 9781472804082,US Naval Special Warfare Development Group, SEAL Team Six,Osama Bin Laden,9/11 World Trade Center attack,US Army Special Operations Command,160th Special Operations Aviation Regiment,MH-X helicopter, PHOTOSNIPER 24: Mi-28 NIGHT HUNTER,Jakub Fojtik,Mikhail Leonteyevich,Kagero Poland,ISBN�978836543713, TEN DAYS IN AUGUST: THE SIEGE OF LI�GE 1914,Terence Zuber,Spellmount,ISBN�9780752491448,German 2nd Army. 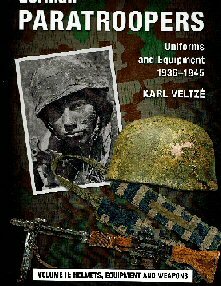 In this second of the projected three volumes of German Paratroopers, the author, Karl Veltz�, not only takes a very detailed look at the Fallschirmjager helmets, but also deals with the paratroopers' special equipment (gasmask bags, hand grenade bags, ammunition bandoleers, medical equipment). Standard field equipment is also covered, followed by a chapter devoted to the individual and crew-served weapons utilized by the German airborne forces. Among these are both versions of the special FG 42 paratrooper rifle. The parachutes used by the German paras are examined, whilst the last chapter looks at their drop containers. The story of Bomber Command's elite squadrons. Twenty five minutes was what it took to run the gauntlet of the Berlin air defences from end to end at full stretch. The flak barrage put up from the ground was merciless and, if your plane was caught in the searchlights, you had little chance of survival. The Luftwaffe night fighters were waiting for you on the way home as well. 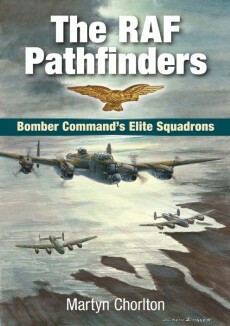 This new history of the RAF Pathfinder Squadrons outlines the increasingly successful role they played in bringing accuracy and effectiveness into the air war waged by Bomber Command against the Third Reich during 1942-1945. On May 2, 2011 a ten-year manhunt drew to a deadly end as the men of the US Naval Special Warfare Development Group (SEAL Team Six) closed in on their prey, Osama Bin Laden, the mastermind of the 9/11 World Trade Center attack. Flown from Afghanistan by Army Special Operations Command's 160th Special Operations Aviation Regiment, two US MH-X helicopters flew towards the compound where they believed Bin Laden to be. Forty minutes later one helicopter had crashed and five enemy were dead, including Bin Laden. In this book the story of the raid is told using specially commissioned full-colour artwork, photographs, and maps. 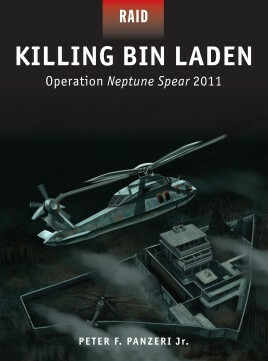 The operation, codenamed Neptune Spear, is expertly analyzed and the events are told in a concise and clear account of its build-up, execution, and aftermath. The MIL design bureau, led by Mikhail Leonteyevich Mil, was one of the leading soviet aviation plants. Mil concentrated on armed the rotorcraft and clearly showed that helicopters can play an important role in front line units. The Mi-1 helicopter became the first mass produced soviet helicopter with vide variety of special variants both for civil and military applications. 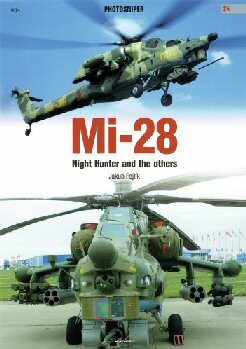 The Mi-28 is the latest derivation of Soviet armed helicopters. 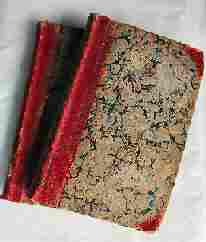 The volume is packed with detail, colour photographs and will be an invaluable aidto modellers. 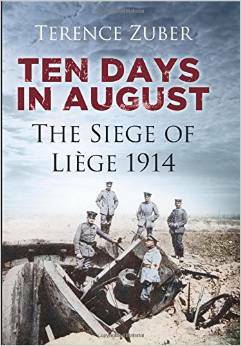 In August 1914 the German 2nd Army had the mission of taking the vital fortresses of Li�ge and Namur, and defeating the Anglo- French-Belgian forces in the open plains of northern Belgium. The attack on the fortress at Li�ge from 5 to 16 August 1914 had tremendous political and military importance, and yet there has never been a complete account of the siege. Making use of both German and Belgian sources, and supported by tactical maps, this book for the first time describes and evaluates the construction of the fortress, its military purpose, the German plan and the conduct of the attack.